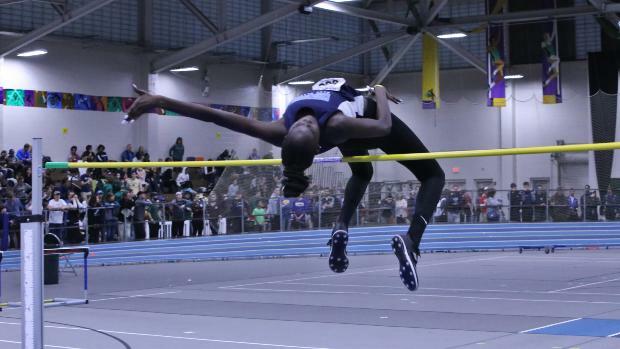 Nyagoa Bayak of Westbrook repeated as the New England Champion in the high jump with a 5-9 clearance. 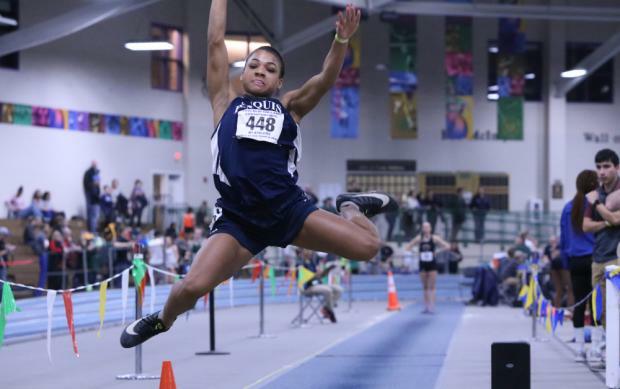 Portland's Jaidyn Appel cleared 5-3 with no misses to place 6th and earn All-New England honors. 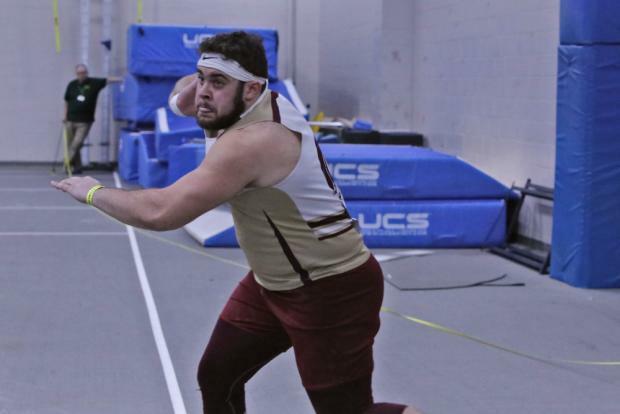 Jason Montano of Thornton Academy threw a personal best 63-2 1/2 to finish as the runner-up, the mark was further than the previous meet record. 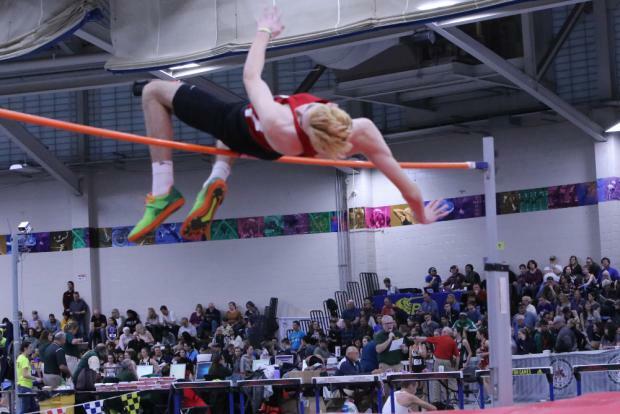 His mark improves his national ranking to 3rd, and also on his Maine #2 & NE #6 all-time mark. Falmouth's Josh Bradford continued his strong season with a personal best 51-7 3/4 to finish 10th overall. 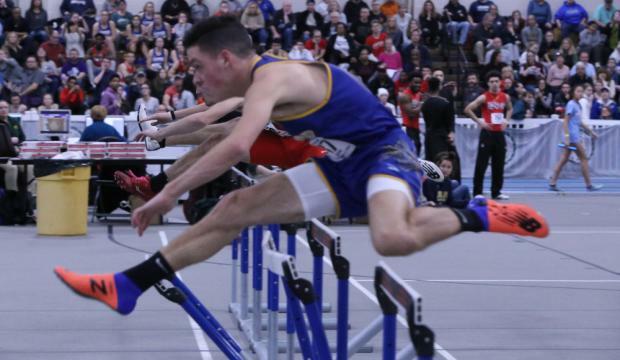 Cymeria Robshaw of Penquis set a new personal best with a jump of 18-8 1/4 to finish as the runner-up Robshaw's mark is the fourth best mark in indoor state history. Joining her on the poduim was Camille Kohtala of Orono who jumped 18-3 to finish 5th. While Bangor's Alyssa Elliott placed 8th with an 17-10 leap. 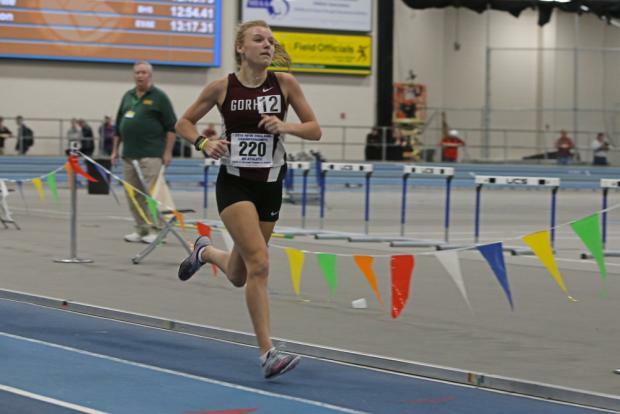 Kate Tugman of Gorham broke 11 minutes for the first time as she finished third running 10:55.54, while Helen Shearer of Hampden Academy was 5th in a personal best 11:00.72. 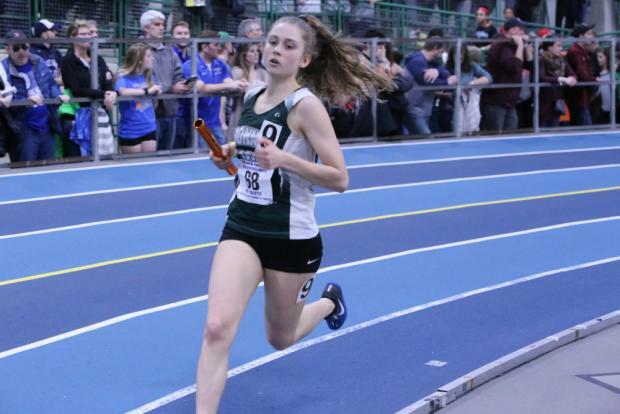 Tugman's time is the 6th fastest in state history while Shearer moved to 7th best in indoor history. Victoria Bossong shattered her state all-time best in the 300m with a 39.68 effort to place 5th. 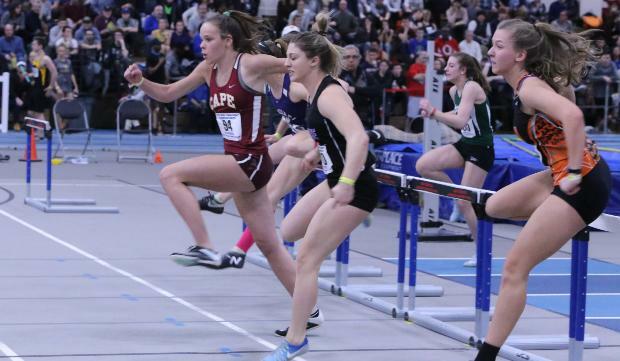 Darcy Cochran of Cape Elizabeth has advanced to the 55m hurdle finals with a 8.61, then ran 8.52 to finish third in the final to earn All-New England honors. 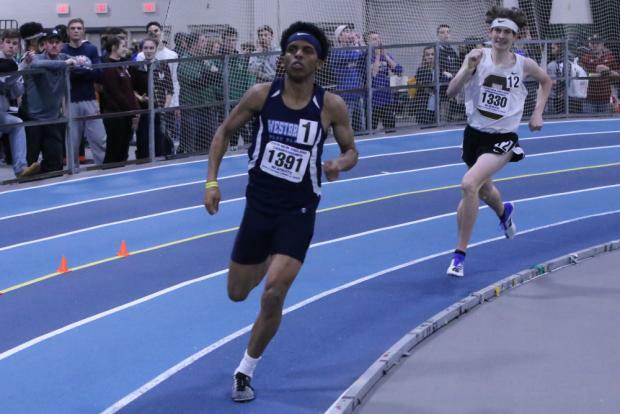 Mahamed Sharif of Westbrook mixed it up with the top 1k runners in New England as he placed 3rd running 2:31.89 to earn All New England honors for the first time. Wyatt Lord of Hampden Academy made it on the podium in 6th place with a 2:33.94. Sharif's time is the second fastest in state history only behind the 2:29.40, while Lord's time is 9th best. Jarett Flaker of Scarborough ran to a 5th place finish in the 300m with a time of 35.14. 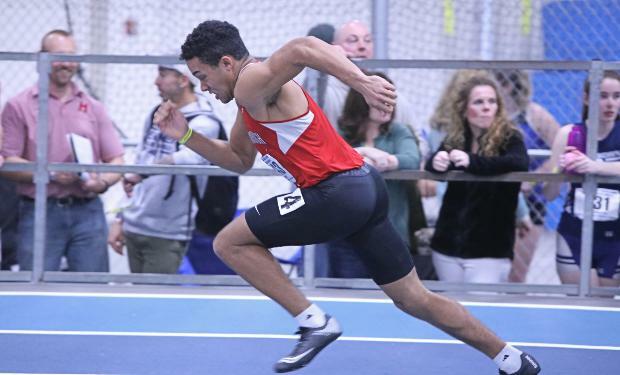 Zachary Beaton of Hermon ran a state leading 7.85 in the 55m boys prelims. The Scarborough boys lowered their state leading time to 8:10.47 to place 12th overall. Alec Troxell of Deering set a new state leading time in the mile with his 10th place 4:22.36 effort. 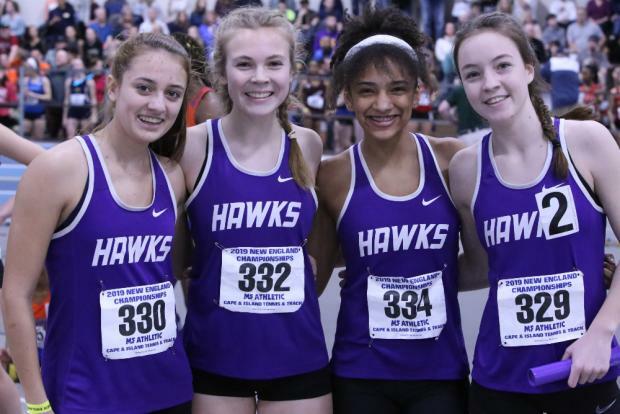 The Marshwood girls lowered their state leading time down to 1:47.36 to move to third fastest team in state history with their 13th place finish. Class B shot put champion Emma Hargreaves of Old Town just missed the podium with a personal best 38-8 3/4 heave. Scarborough's Anthony Clavette cleared 6-3 with no misses to finish 8th overall.